Bill Walton has a passion — for his work, for family & friends, for music, for life and for greatness! Bill brings his outsized passion to the stage and inspires audiences with tales from an improbable life in sport and beyond. 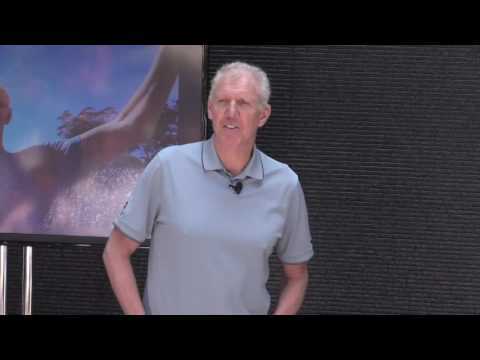 Walton speaks about the secrets of world-class performance, personal and organizational excellence, and how he overcame nearly impossible odds – on the court and off – to persevere and win. As entertaining as he is insightful, Walton is widely considered one of the best speakers from the world of sports. The lessons Bill learned on the basketball court became life lessons that served him well throughout his sports, broadcasting and business careers. No lesson was more important than the words from the legendary John Wooden, Bill’s basketball coach at UCLA, who simply said “Do your best.” Wooden never asked players to go out and win – simply to do their best and not beat themselves. Walton never forgot those words which helped him throughout his extraordinary career. Following a celebrated college basketball career, Walton went on to have a Hall of Fame NBA career. After basketball, Walton pursued his dream job as a sports broadcaster – but first had to overcome the lifelong stuttering affliction. And then, in 2008, Walton endured risky back surgery to repair damage done early in his basketball career. Through it all, Walton’s determination carried him through. 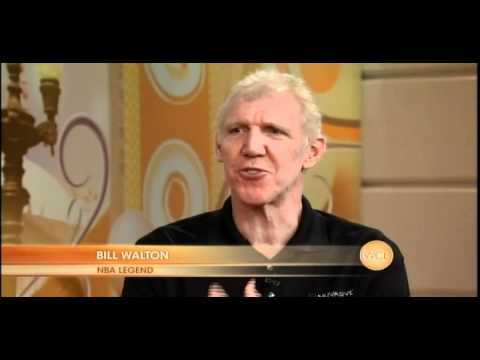 Bill Walton is an authentic and true original who personifies greatness and is one of the most compassionate figures in sport with an extraordinary record of giving back through his work with numerous charities and non-profits. Let’s go back to the beginning. It all began when Bill Walton was introduced to the game of basketball while in the fourth grade at Blessed Sacrament Elementary School. Walton then attended Helix High School, where his team won the California Interscholastic Federation High School title two years in a row, while winning their final 49 consecutive games. While at Helix, Walton became the first and only high school player to ever make the U.S.A. Senior Men’s National Basketball Team and play in the World Championship and/or Olympics. Walton enrolled at UCLA in 1970. He played center for John Wooden’s varsity team for three seasons (1972-1974), after a year with the freshman team in 1971. He was a member of two NCAA championship teams compiling an NCAA record 88 consecutive game winning streak. In 1972, ’73, and ’74 Walton was named NCAA Player of the Year Award. He is a three-time All-American College Player and winner of the Sullivan Award for the United States Best Amateur Athlete of 1973. Bill was named to the Pacific 8 All-Conference first team three times and was conference player of the year for three consecutive years. At UCLA Walton was a scholar-athlete who also earned Academic All-American honors three years in a row. He graduated with honors with a B.A. in history. Walton also attended Stanford University Graduate School of Law in the early 1980’s. Walton’s professional career began when he was the number one overall pick in the 1974 NBA Draft by the Portland Trailblazers. He was a member of their championship team in 1977. Nine years later he earned another championship title, this time with the Boston Celtics in 1986. He played with the Trailblazers 1974-1979, the San Diego Clippers 1979-1984, the relocated Los Angeles Clippers in 1985 and The Boston Celtics 1985-1988. Walton was the NBA’s Most Valuable Player, 1978; All-NBA First Team, 1978; NBA All-Star Team, 1977 and 1978; NBA Playoff’s MVP, 1977; All-NBA second team, 1977; winner of the NBA Sixth Man Award, 1986. Walton is one of only four players in the history of basketball to have won multiple NCAA and multiple NBA Championships. Walton is also the second of only five players in the history of the NBA to lead the league in both blocked shots and rebounding in the same season. In 1991 Walton received the NBPA’s Oscar Robertson Leadership Awards. In 1993 Walton was inducted into the Basketball Hall of Fame in Springfield, Massachusetts. In 1997 Walton was selected as one of the NBA’s Fifty Greatest Players of All Time. Also in 1997 Walton was inducted into the National High School Sports Hall of Fame, making him the first male basketball player from the state of California to be so honored. After retiring from basketball Bill began his broadcasting career in 1990 as an analyst for the then Prime Ticket Network. 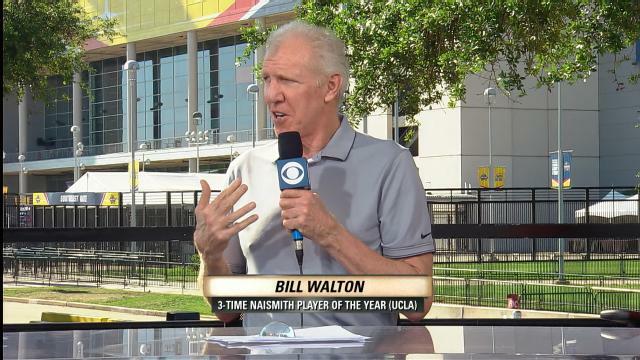 Walton worked for CBS Sports in the early 90’s and then for NBC for many years, including work on the 1996 Atlanta and 2000 Sydney Summer Olympic Games. Over his career he’s also done broadcasting work for ABC, ESPN, FOX, MSNBC, Turner Sports, KCAL, NESA and the NBA. Walton has been nominated for numerous Emmy Awards and in 2001 won an Emmy for Best Live Sports Television Broadcast. The southern California Sports Broadcasters Association has several times honored Walton with the Best Television Analyst/Commentator Award. In 2009, Walton was named one of the top 50 sports broadcasters of all time by the American Sportscasters Association. In June 21, 2001, Walton was named as the inaugural inductee into the Grateful Dead Hall of Honor, and signed memorabilia is available. All proceeds go to benefit the Rex Foundation, the non-profit charitable organization founded by members of the Grateful Dead and friends. Love of sports runs in the Walton family. Bill and his older brother Bruce (UCLA 1973) are the only brother combination in history to have played in the Super Bowl and to have won an NBA Championship. Bill and his third son Luke are only the third father/son pairing to have ever won NBA Championships. They are also the only father/son combination in history to have each won multiple NBA Championships. Walton is active with many organizations and charities. For his efforts, in 2002 he received the NBA Retired Players Association Humanitarian Award. 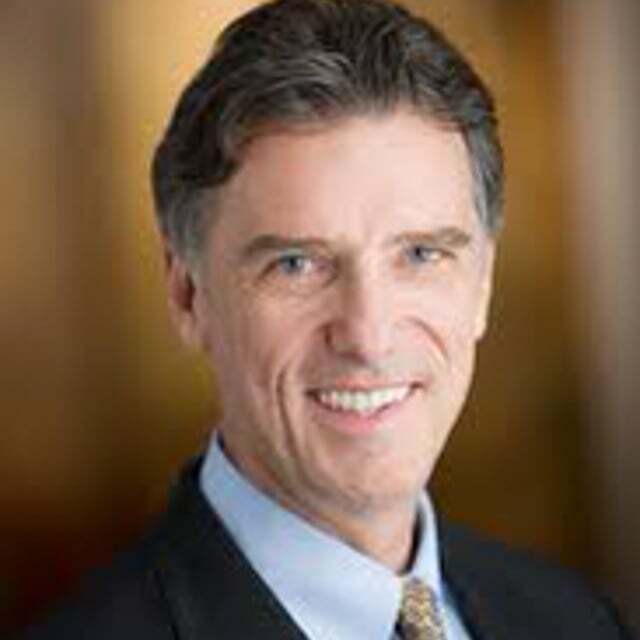 His activities include his current role as the executive chairman of Connect SD Sport Innovators (SDSI), a non-profit, business-accelerating, trade organization that connects and drives the growth of Southern California’s vibrant sports economy by offering innovative programs and services for startups, mature companies and service providers. SDSI offers mentoring, education and capital funding opportunities for start-ups; best practice collaboration, access to new technology, and public policy advocacy for mature companies; as well as deal flow to our service providers and the Southern California Investment Community. Walton is also a board member for the Junior Seau foundation. Walton is also involved in numerous Internet ventures, providing content and business acumen. Walton is author of Back from the Dead (March, 2016) and Nothing But Net. Walton currently resides in his hometown of San Diego with his wife Lori. They are the proud parents of four sons: Adam, Nathan, Luke and Chris, and the lucky grandparents of Olivia, Chase, Parker, Avery, Patrick, Lawson, Wilhelmina. 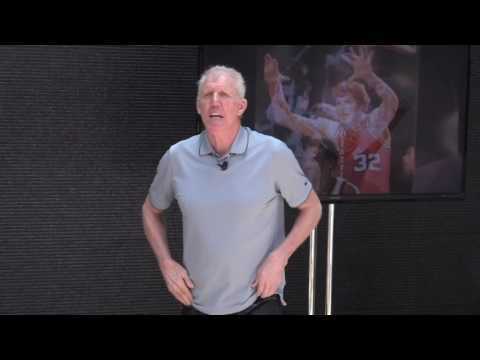 Bill Walton's Career Advice: 'You Cannot Finish Unless You Start"
Three words drive Bill Walton’s philosophy of life – do your best. They were drawn from the legendary John Wooden, Bill’s basketball coach at UCLA, who never asked the players on his record-breaking teams to win – only to go out and do their best and not beat themselves. The lessons of Coach Wooden – about character, work ethic, teamwork, accountability, and pride for a job well done – stuck with Walton his whole life – on the court, in the broadcast booth and beyond. 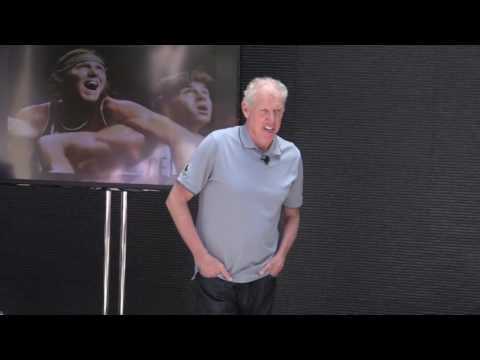 Bill Walton inspires people to do their best with incredible stories from an improbable and remarkable life. Bill Walton played for some of the greatest coaches in basketball – Red Auerbach, Jack Ramsay and the legendary John Wooden. Then, Walton’s broadcasting career allowed him the chance to see great championship performers and coaches in action. 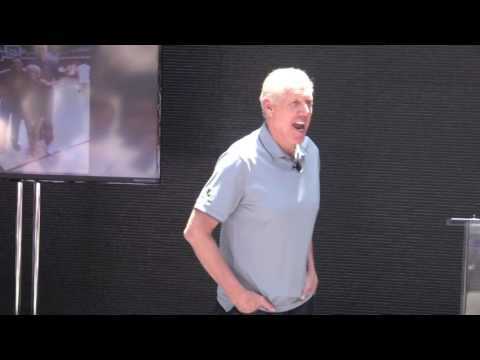 The consummate storyteller, Bill shares tales that are as insightful as they are entertaining – he provides an inside look at how world-class performance is really achieved on the basketball court. The leadership lessons are based on important principles that transfer off the court, too. At 6’ 11” in his Grateful Dead tie-dyed t-shirt, Bill Walton is one of the most recognizable and colorful sports legends ever. He’s also among the most upbeat and positive people you’ll ever meet. It’s a mindset he’s cultivated and credits for his ability to adapt, persevere, and ultimately succeed in his challenges on and off the court. Named one of “50 Greatest NBA Players of All Time,” Bill incredibly missed 9½ of his 14 NBA seasons due to injuries related to undiagnosed congenital foot problems. Despite that, his achievements on the court were enormous. When his storied career ended with his 30th surgery, Bill’s dream was to pursue sports broadcasting. One problem: a severe lifelong stutter that prevented him from even saying a simple "thank you." Undeterred, Bill set about the task of learning to speak. He conquered stuttering and found a place behind the mic - earning numerous awards and honors since. Bill’s greatest test came in 2007 when severe back pain confined him to the floor of his home for 2½ years. Finally relenting to surgery in 2009, the grueling rehab and recovery from that 37th surgery could well be Bill’s biggest achievement. While Bill exclaims regularly, "I'm the luckiest guy on Earth," it's clear his outlook on life helped create that luck. 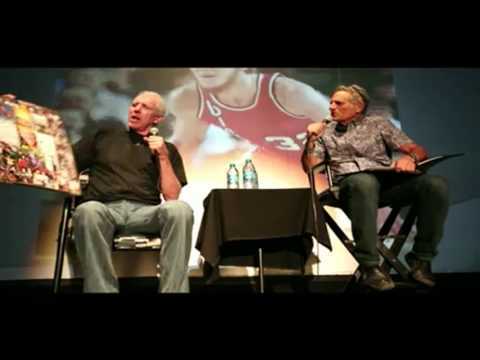 Bill Walton loves to inspire audiences with tales about the power of positive. Bill Walton is having a blast cycling along the USA Pro Cycling Challenge as he has climbed Independence Pass three times. For his 60th birthday, here are 10 quotes from the Basketball Hall of Famer. There were no candles to blow out, but the cake, though covered in a vaguely disgusting tie-dye fondant, looked nice enough. Dave Pasch had just been named Arizona Sportscaster of the Year, and the celebration seemed like just another blandly forgettable work party, albeit one broadcast live on ESPN during the Arizona-Colorado men’s basketball game. 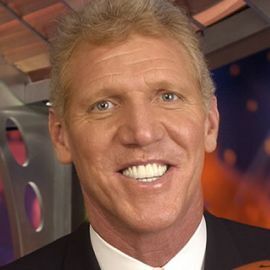 ESPN basketball analyst Bill Walton will provide commentary on Alabama- Clemson. 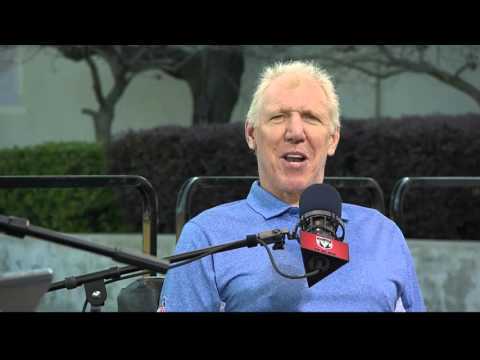 Bill Walton Credit Graeme Mitchell for The New York Times ... Bill Walton arrived at the San Diego Natural History Museum carrying a large black chair. Einhorn Enemy Bill Walton Makes a Comeback With Trump. Bill Walton was at the top of Washington's finance establishment when he ran Allied Capital Corp.